Every year as the great British summer begins to draw to a close millions of people descend on Notting Hill to embrace its vibrant Caribbean heritage in Europe’s biggest street party. Amongst the vibrant costumes and traditional dances two facets that are guaranteed to pull big crowds is the carnival atmosphere and plethora of West Indian food on offer – but you don’t have to wait until August to get a taste of that. 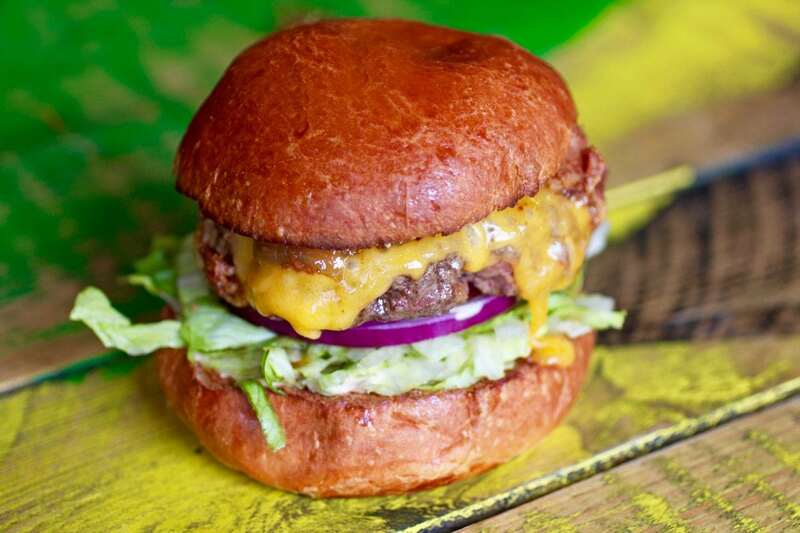 Founded by Jamaican Josh De Lisser and located in the carnival heart of Portobello Road Boom Burger is a little bit of the Caribbean in the heart of West London. After temporarily closing its doors to spruce up the menu and shake up the cocktail offering the burger restaurant is back with explosive flavours that will bring a slice of sunshine to the drizzly London days. 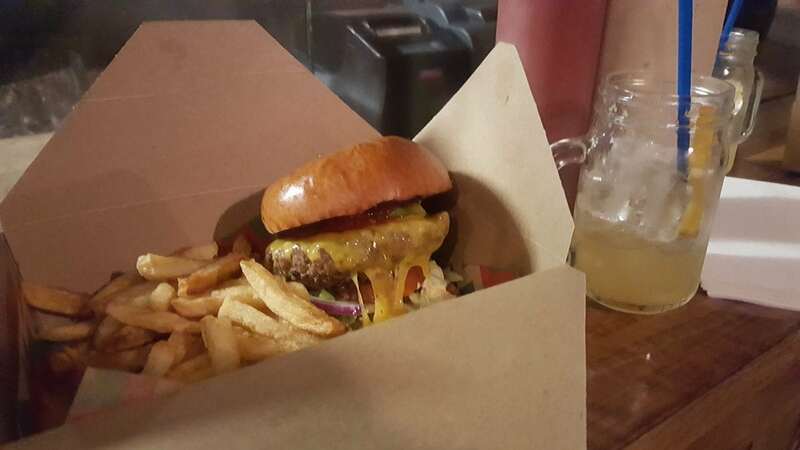 Despite there been a plethora of new burger joints opening across the capital this menu consists of a wide range of mouthwatering options which blows the competition out of the water. The Avocado Boom – a juicy beef patty with cheese and fried avocado slathered in scotch bonnet sweet chilli sauce – is up there with the best burgers I’ve tasted this year, but with such a range of options I’m sure I would have been happy with any else. Red Snapper in a spicy vinegary traditional Escovitch sauce and the wonderfully named Dutty Butty for the early risers. The Boom side offerings are not to be overlooked either, with two choices of mouth-watering wings. 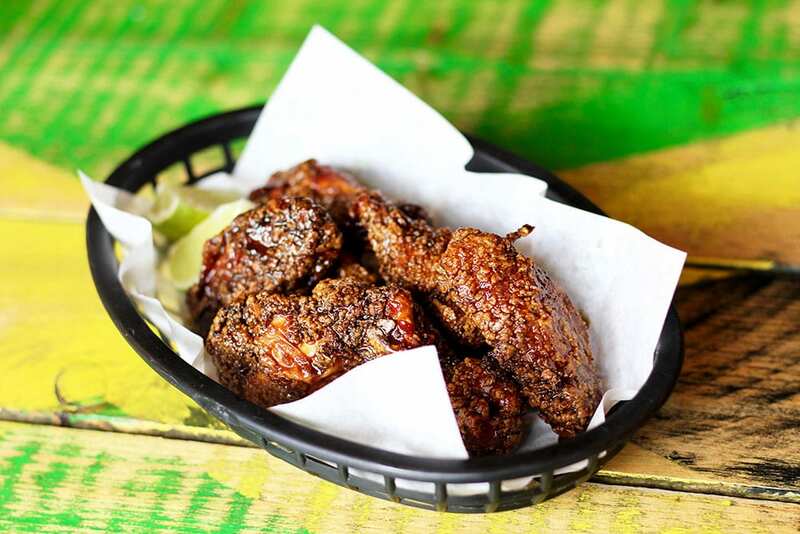 Select the Sticky Wings which are smothered in a sticky Jerk sauce or the fried Boom Wings that have been marinated in the house jerk sauce. And we definitely recommend ordering a portion of sweet Plantain fries to complete your Jamaican feast. De Lisser and his team have shaken up the cocktail menu with their Boom Juice offering, inviting diners to sip on classics with a Jamaican twist. Be transported to the Caribbean waters as you enjoy a creamy Pina Colada, Rum Punch or Tropical Storm as you wile away the hours with Boom Burger’s new late night offering. Taking the Jamaican influence to the decks, expect reggae, dancehall and hip-hop courtesy of Boom Box. The mobile offering will now cater for Boom parties off site as well as onsite. Boom Box will be putting on parties at the site every 3 months for that real reggae fix. Set to be the re-launch of the spring, get your twerk on and head West to the restaurant with the Jamaican beach shack feel for the raciest cocktails and mouth watering food.